San Francisco, CA / Washington, D.C. – Tech powerhouse Salesforce was accused of being unconstitutional, hypocritical, and loose with the facts by a well-known conservative activist over company positions that he said opposed religious liberty. At yesterday’s annual meeting of Salesforce investors, National Center for Public Policy Research General Counsel and Free Enterprise Project (FEP) Director Justin Danhof, Esq., presented a resolution highlighting the company’s hypocritical stance on religious freedom. Danhof blasted the company’s involvement in the U.S. Supreme Court case Masterpiece Cakeshop, Ltd. v. Colorado Civil Rights Commission. 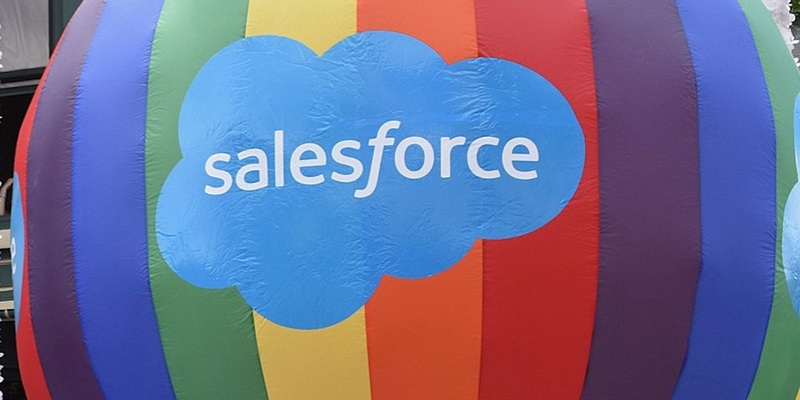 Salesforce was one of 37 major corporations that signed the Human Rights Campaign’s amicus brief supporting Colorado’s efforts to force baker Jack Phillips to make a specialty cake for a gay wedding. Last week, in a 7-2 decision, the Court ruled for Phillips. Under CEO Marc Benioff’s leadership, this company has worked to eradicate religious freedom in the United States. In doing so, the company has obfuscated facts, contravened the Constitution and been extremely hypocritical. I’ll address these failings in order. When the company threatened to divest from the state of Georgia over that state’s consideration of a religious freedom restoration law, it claimed it was doing so because the measure was designed to discriminate against the LGBT community. That’s not true. The company also signed the Human Rights Campaign’s (HRC) highly disingenuous amicus brief in the Masterpiece Cakeshop, Ltd. v. Colorado Civil Rights Commission U.S. Supreme Court case. The company’s position would have allowed states to compel speech of private businesses and citizens all while further eroding religious freedom. Last week, the Supreme Court struck down the position of HRC and Salesforce in a landslide 7-2 opinion. The company’s position was far outside of constitutional bounds. Finally, while the company regularly attacks religious freedom here in the United States, it also does business in China, India and Morocco – all countries with extremely questionable track records regarding women’s rights, religious rights and LGBT rights. Where are the company’s threats to divest from those regions as it did in Georgia? Our proposal offers the company a chance to explain these inconsistencies and justify its appalling record on religious freedom. Audio of Danhof presenting the National Center’s proposal is available here. The full text of the National Center’s shareholder proposal is available on page 68 of Salesforce’s proxy statement. FEP representatives have participated in 25 shareholder meetings in 2018.